I'm always in love with the ambience of Japanese drama, be it their fashion direction, house interior and decoration as well as shooting location at cafe. 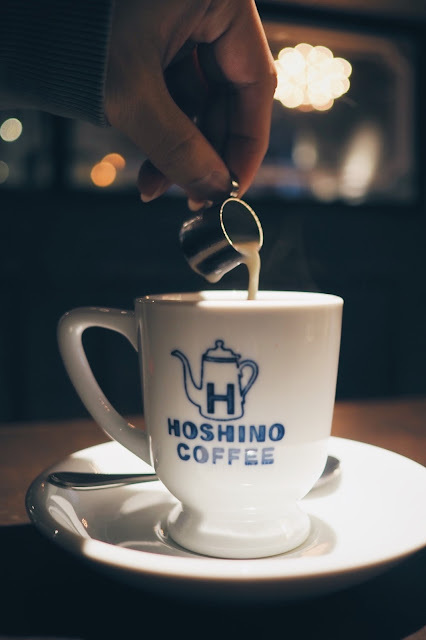 Hoshino Coffee, a Japanese-Western fusion cafe which has more than 180 outlets in Japan fulfilled my dream of indulging a cup afternoon coffee with a authentic Japanese cafe setting. Waiters dressed in western-style butler outfit (albeit minus the attitude), dark wood interior with leather seatings and chandeliers, Japanese do have a unique way to incorporate certain elements smoothly into their culture. It was rather crowded on a weekday evening hence serving food and beverages took longer than I expected. I'm a big fan of flavoured coffee, Mocha, Caramel Latte or Chocolate based coffee are my usual orders. 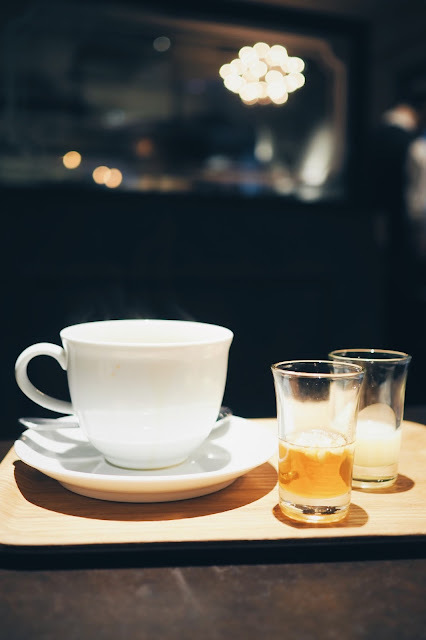 However it's been quite some time since I last had coffee that satisfy my cravings because they will usually taste too sweet/bland, burnt coffee bean, too much milk etc. I had a lot of disappointments towards Malaysian cafe to be honest. I'm keeping my skepticism towards Hoshino's Japanese flavoured milk coffee when I order but it turn out great. 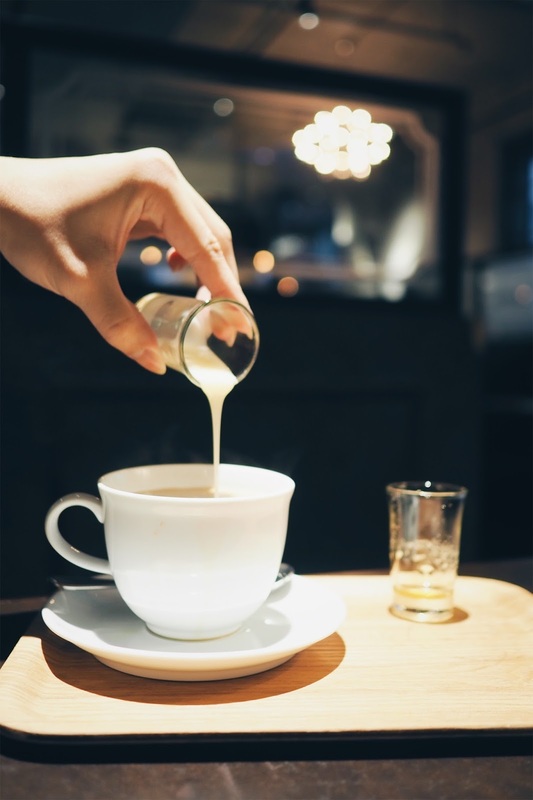 Out of my expectation, their honey nut syrup brings out the taste of milk coffee without overwhelming my taste bud. It has been a while since I last had coffee that I'll crave for second serving! 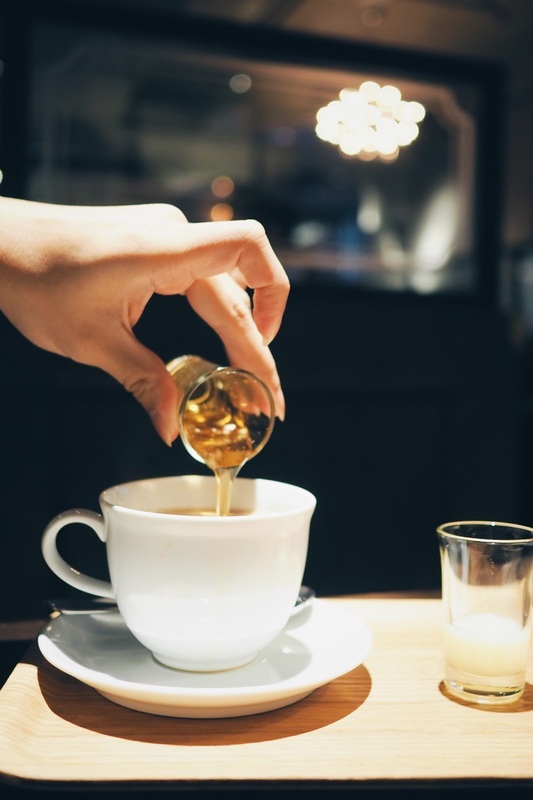 It was shocking to know the fact that Japanese milk coffee exist since 1900 and it has become Japanese people's favourite type of coffee from then. 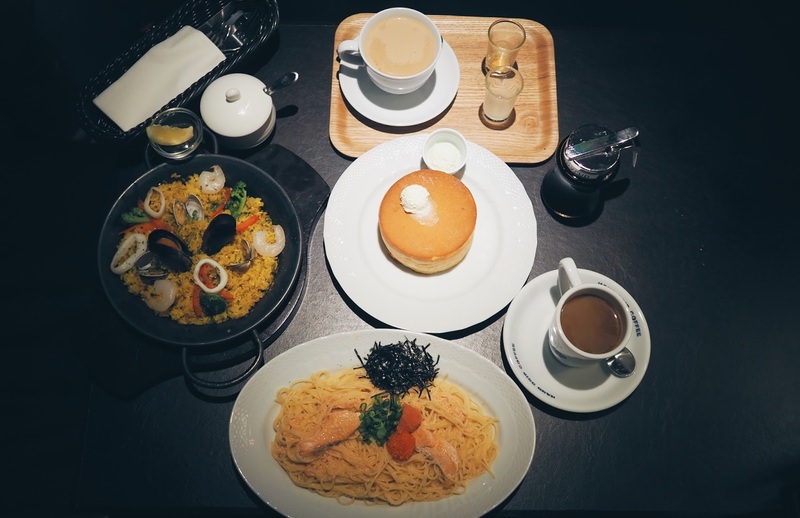 Spaghetti and Rice are the main ingredients when it comes to main courses from Hoshino's menu. 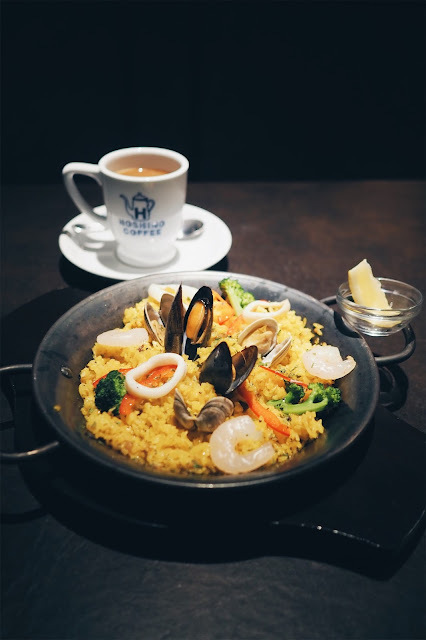 The choices fully depicted the fusion style of a Japanese cafe hence you can see there are Italian spaghetti and Spain paella on the list. We had Salmon & Mentaiko Butter as well as Seafood Paella. 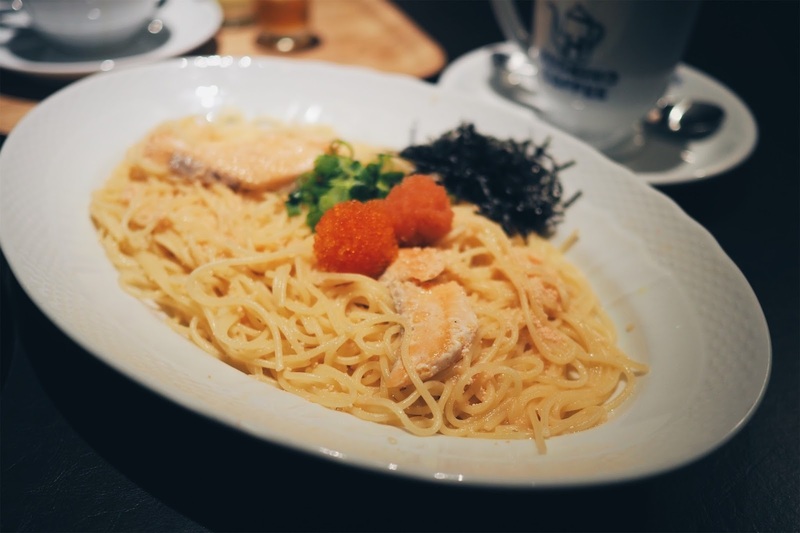 I love my salmon & mentaiko butter spaghetti! It was creamy and rich in flavour with nicely done spaghetti. 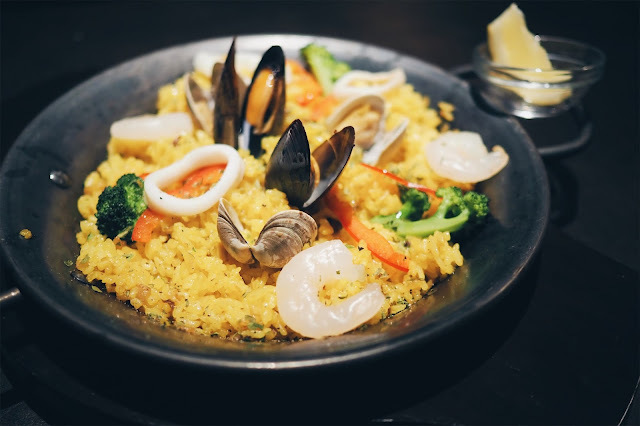 However the Seafood Paella tasted way too heavy on the MSG/savoury side with frozen prawns that aren't fresh looking (check the photo above). I would recommend stick back to their spaghetti or try their rice dishes or platter. Fresh from oven, fluffy and soft, Hoshino's pancake soufflé is a dream come true. With good quality maple syrup and house-whipped butter (which I extra ordered! ), this soufflé is soul calming in many ways. Not bad for a weekday dinner menu eh. 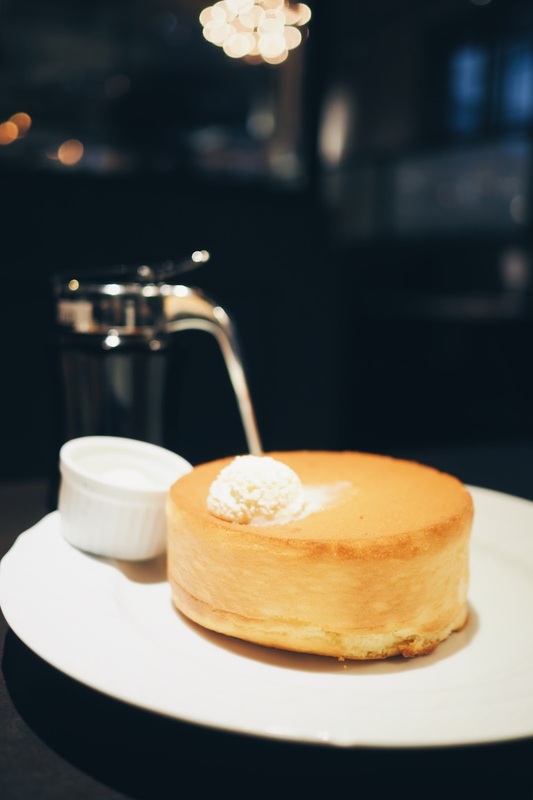 Aside from good coffee, food and desserts, Hoshino Coffee provides Japanese magazines for reading purposes ( or as props for better looking photo). 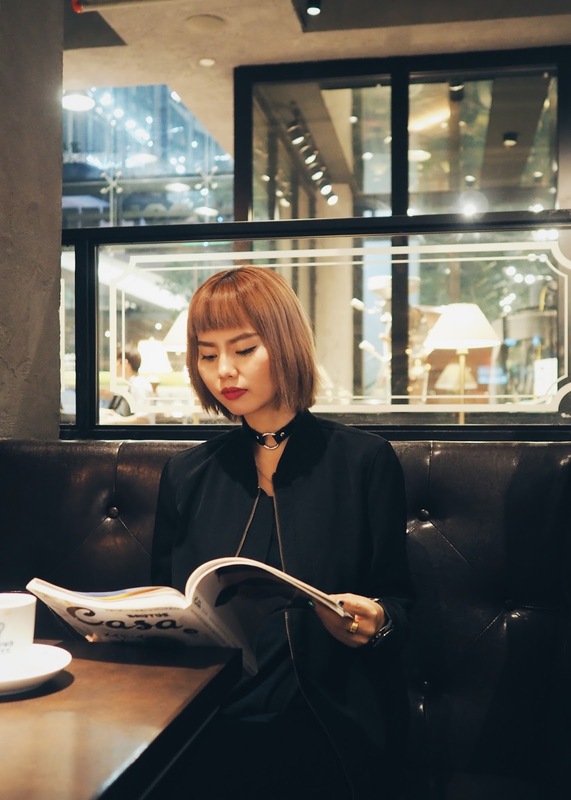 I spent most of my teen age reading Japanese fashion magazine I bought from Kinokuniya, and it's such a rejoice to reconnect with my hobby of reading in a Japanese cafe, 50% of my J-Drama day dream come true I would say. 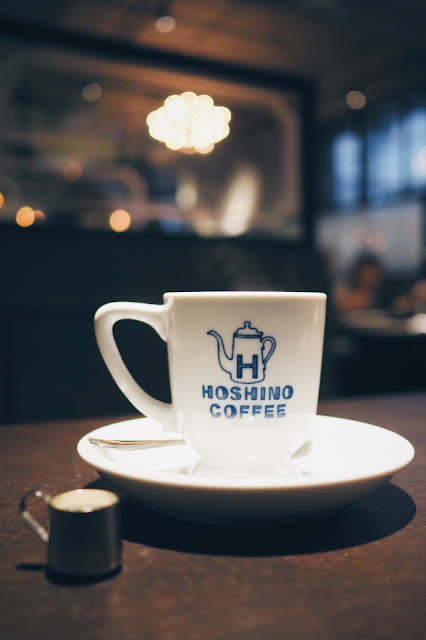 I guess now I would need an air ticket to Japan for a better Japanese cafe ambience to truly live the life of a Japanese culture fan, or else having a cup of Japanese milk coffee at Hoshino Coffee would do just fine.